Let’s see, whata we got here in dis big ol’ bag of notable but not especially interesting? Hawkeye parodying a pop song I don’t know, Stan Lee’s school of cameo acting, a Dark Knight Returns sequel and the tiniest X-Men: Apocalypse spoiler imaginable. So yeah… Hawkeye is parodying “Thinking Out Loud” by Ed Sheeran, but since I’m old, I don’t know this song… maybe it’d be funny if I did, but as it stands, this is tragically long and not funny. Speaking of tragically long and unfunny, here’s some weird Avengers: Age of Ultron cross promotion with Audi, because… synergy. Somehow. I don’t get it. 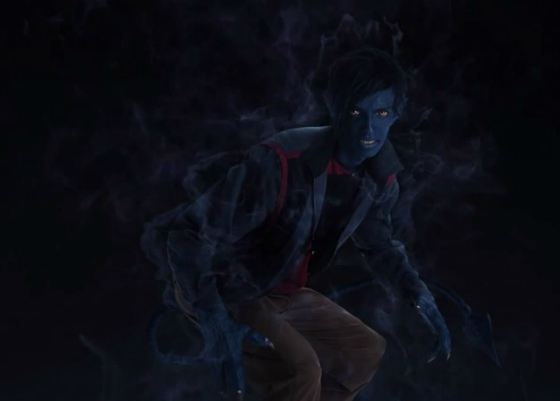 Here’s your first look at Nightcrawler in . He looks basically the same as last time, so I have no idea why they went out of their way to drop the video. (Yeah, it was revealed in the worst video ever. I got ya a screengrab instead -you’re welcome.) What a waste of time… it’s an X-Men movie! Of course we’re going to see it! The marketing campaign for this movie is horrible! 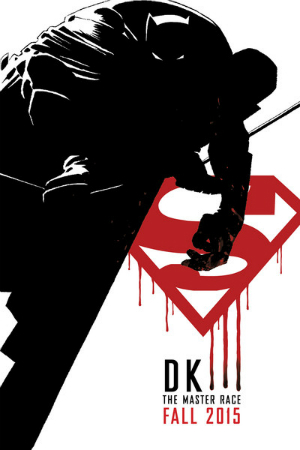 Not be left out, DC’s giving you a sequel you probably don’t want in Dark Knight: The Master Race. So… yeah. You saw the title of this post, right? I didn’t exactly bury the lead.